The roads would feel lonely without the line of buses courting it throughout the day and night. If you are here for a bus journey, we are here to offer you a pleasant one. 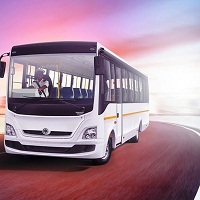 Travel Shop is a travel company located in Gorakhpur, Uttar Pradesh and provides excellent Bus Ticketing Services. We offer bus bookings for our variety of in-house buses including deluxe, A/C, non A/C, and economic. We also provide bookings for other bus ticketing agents. Our services are available all over India and Nepal.